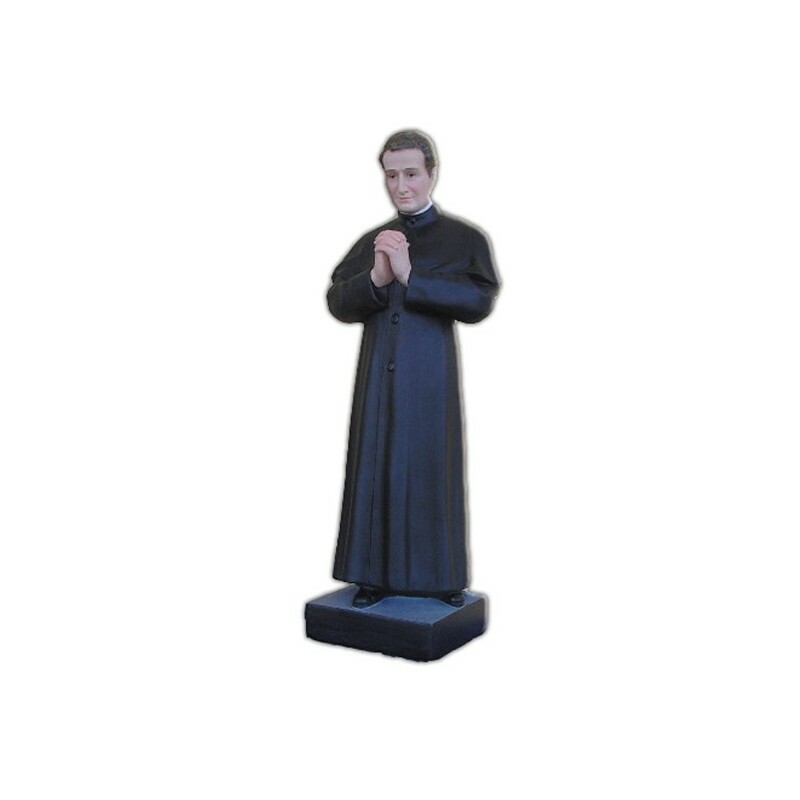 Statue of Saint John Bosco of 60 cm. 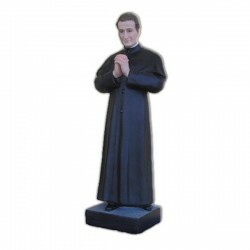 Statue of Saint John Bosco, 60 cm of fiberglass, handmade in Italy. Saint John Bosco, foundator. He is commemorated on the 31 of January. He was born on the 16th of August 1815 in Castelnuovo. He died on the 31st of January 1888 in Turin. When he received the episcopal order, he began his activity in Turin. He educated through the love, he persuaded the youths to love their teachers, their studies and all the aspects of their education. A group of volunteers devout themselves to help him and in 1869 the new Salesian Institute was approved from the Holy See. John Bosco put it under the protection of Mary Helper of Christians and of Sain Francis of Sales, who gave the name to the institute. The institute spread in Europe and it created also a feminine community, which was based on the same values. John Bosco was canonized in 1934 by Pope Pio XI. He is illustrated in the priest’s cassock, with a band and a black mozzetta, with a white collar.